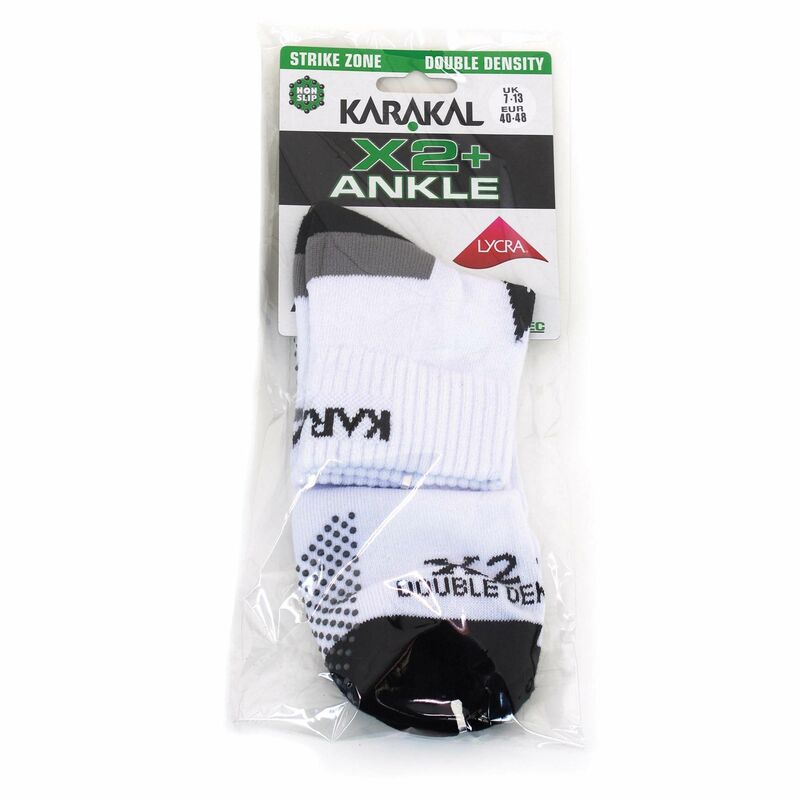 Designed to help you stay fresh and comfortable when playing, the Karakal X2 Plus mens ankle socks offer great air flow and moisture management thanks to Cool Tec fabric and have double density zones for shock absorption and a cushioned feel. With built-in Lycra, they ensure improved flexibility and arch support, whereas rubber dots on the sole guarantee an anti-slip fit and added comfort. for submitting product information about Karakal X2 Plus Mens Ankle Socks We aim to answer all questions within 2-3 days. for submitting product information about Karakal X2 Plus Mens Ankle Socks. We aim to answer all questions within 2-3 days. If you provided your name and email address, we will email you as soon as the answer is published. for submitting product review about Karakal X2 Plus Mens Ankle Socks.